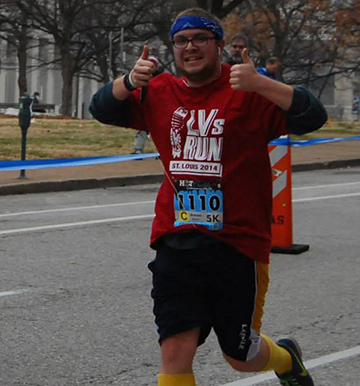 Lasallian Volunteers (LVs) came together the weekend of December 12 – 14, for the 9th Annual LVs Run, which was held in St. Louis, Missouri, in collaboration with the Hot Chocolate Run. 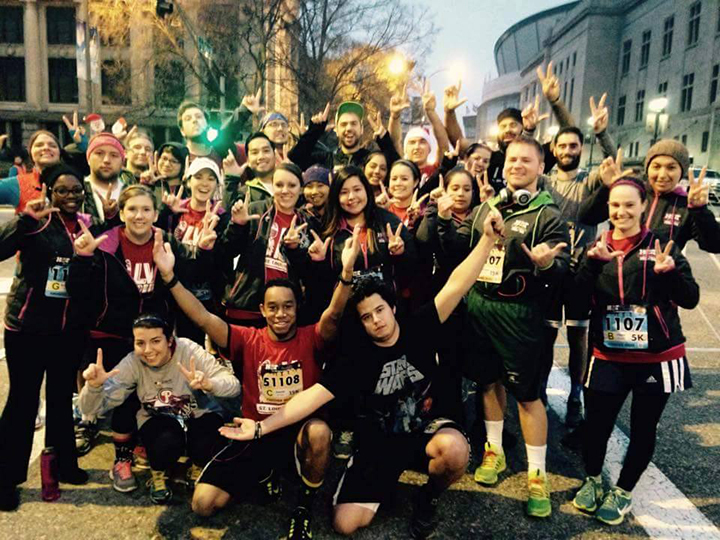 As an associate charity with the 5k/15k race, the LV program raised more than 90 percent of the $80,000 goal. Approximately 50 current LVs, alumni, family, friends and Brothers gathered together for the race on Sunday and a pre-race dinner at St. Cecilia School and Academy in St. Louis and Mass at the Cathedral Basilica of St. Louis on Saturday. Second-year LVs Megan McShane, Emma Flowers, and Katy Noetzel also served on the run committee, as well as Samantha Almanza who is the first alum to serve on the committee. Donations for LVs Run are still being accepted!